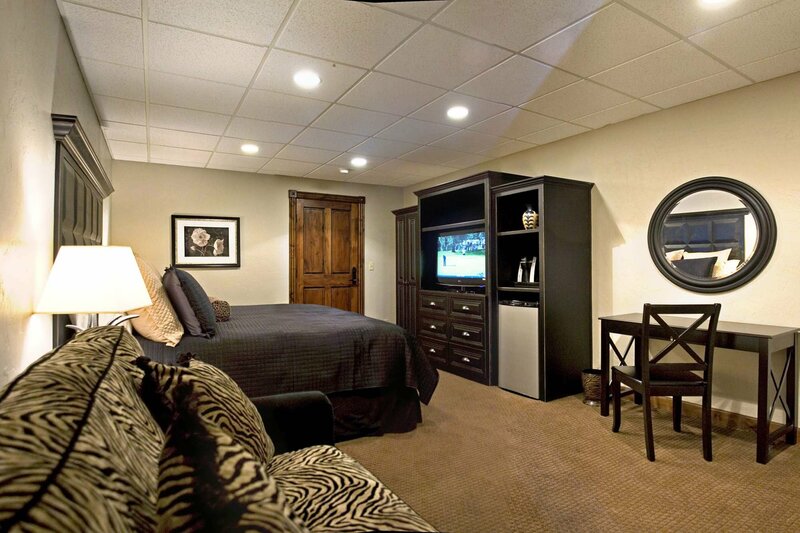 Stately and dignified, this suite ushers you in. 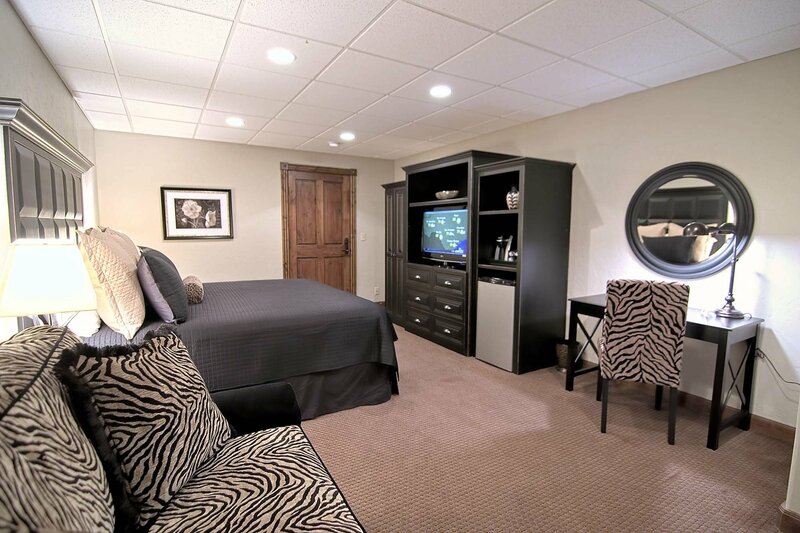 As you open the door to the Onyx Suite, themes of black and white, stately and dignified, usher you in. The smooth artwork and gleaming surfaces of the suite help sooth your cluttered mind and permit you to take it easy for the next few days. 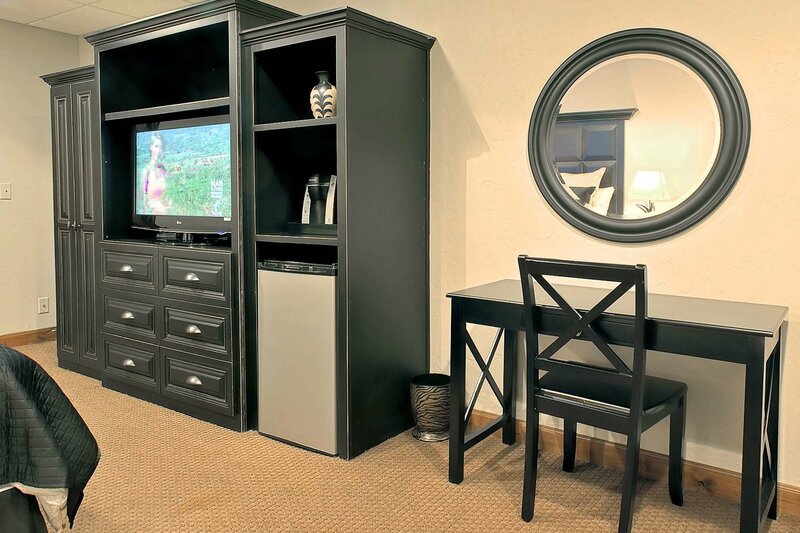 If you need to conduct some business, an elegant desk awaits you in the corner. You'll never have a clearer head pushing emails. 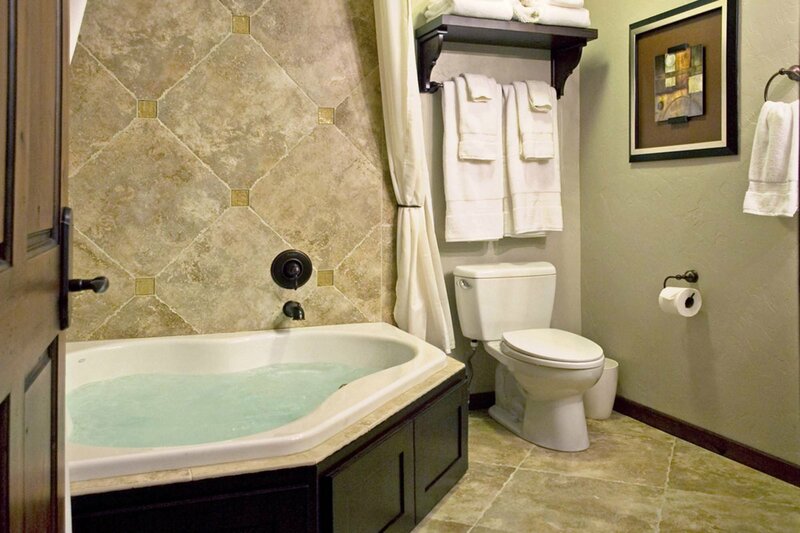 When night falls, sink into your king-sized bed or bubble away your worries in your corner jacuzzi tub. The soft chandelier lighting bathes the suite in a low, pleasant glow that allows you to rest easy. 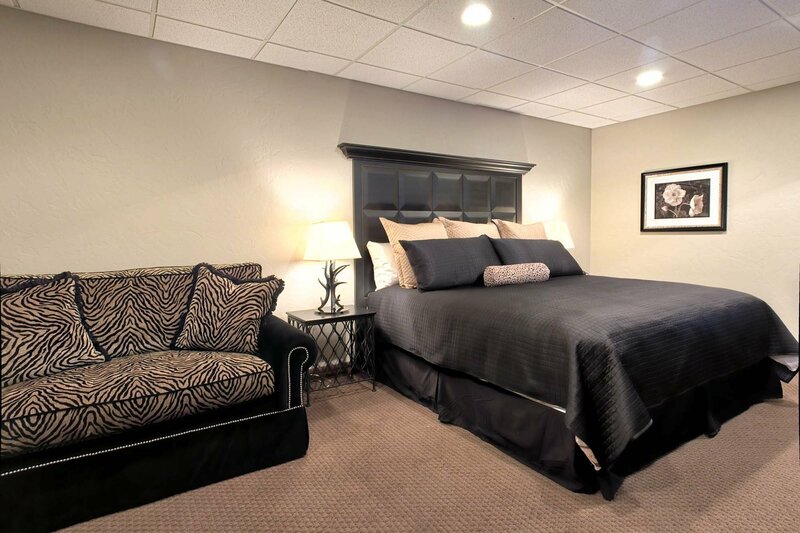 King size bed with world famous Heritage Pillowtop mattress. 37-inch flat screen TVs with cable. Jacuzzi tub with rain shower head and on-demand constant hot water so you can shower or soak as long as you like in complete comfort. Pull out queen size bed.